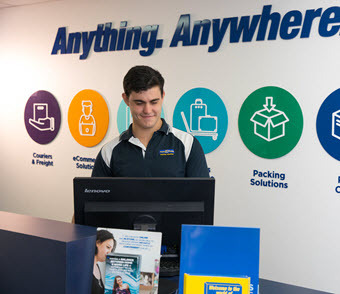 PACK & SEND Milton in Queensland provides total courier and freight delivery services and complete packaging solutions for customers in and around Milton. Contact PACK & SEND Milton service centre in Milton now to get a quote for all your packing and shipping needs. Service are good, staff are friendly. Sensational customer service and fabulous systems and processes to make things particularly easy for the customer. Great value too!! A highly efficient courier business that I can trust with my most important and delicate deliveries. Great service! Super friendly staff and hassle free! I recommend Pack & Send Milton to any business or individual in the area wishing to courier! 10 out of 10! Scott & Julie are not only the nicest people that Brisbane has to offer, but they are professional and extremely efficient in every part of their business. Our business has been using various couriers for years and Pack & Send are by far the best with pricing & service. Moved from Brisbane to Sydney. Services on both sides were just perfect. The whole team was friendly, honest and very professional. They always kept me up to date so that I knew where all my belongings were. Picked up my boxes immediately & helped to pack them and delivered them on time. Thanks again!